Iraqi lawmakers are mulling legislation to terminate the security agreement with the United States, according to the First Deputy Speaker of the Iraqi parliament, Hassan Karim. "During the next session, the parliament will work on the bill that would include the end of the security agreement with the United States, as well as the end of the presence of the US and other foreign military trainers and advisers in Iraq", Kaabi said in a statement released on the parliament website. The statement comes amid US President Donald Trump's recent comment on the situation in the country. In particular, the US president said that Washington wants to keep its forces in Iraq so that the US could keep a close eye on Iran, "because Iran is a real problem," according to an excerpt from a CBS interview with Trump that will be aired later on Sunday. "One of the reasons I want to keep it is because I want to be looking a little bit at Iran because Iran is a real problem", Trump said in the interview. However, the Iraqi deputy speaker went on to slam Trump's "provocative" statement, saying that it grossly violates Iraq’s sovereignty and constitution. "All parties need, as soon as possible, to stop the US presence and not allow Iraq to be used as a springboard for aggression or surveillance of any state", Kaabi stressed. On Wednesday, Trump slammed US intelligence as "extremely passive and naive", claiming that Tehran is destabilizing the Middle East and continuing to test banned missiles. In particular, Trump mentioned an Iran missile test last week and made an oblique reference to Tehran "coming very close to the edge". The Trump administration reinstated sanctions against Iran following the former's withdrawal from the 2015 JCPOA treaty in May. The first round of sanctions came into force in August, followed by a second round on November 5, 2018. All other parties to the nuclear deal have disagreed with the US decision. A December 2018 announcement by Trump that all US troops deployed in Syria would be coming home — and reports of plans to cut the US Afghan deployment in half — has prompted efforts by Trump's inner circle and Republicans in Congress to delay any withdrawal. Members of Congress and Trump's White House advisers have attempted to walk back the presidential announcement that some 2,000 US troops in Syria would come home within a month, claiming that Daesh is not yet defeated. According to the CBS interview, some of the forces moving out of Syria will go to Iraq, where they can monitor any resurgence of Daesh or other militant group and "ultimately some will be coming home", Trump said. 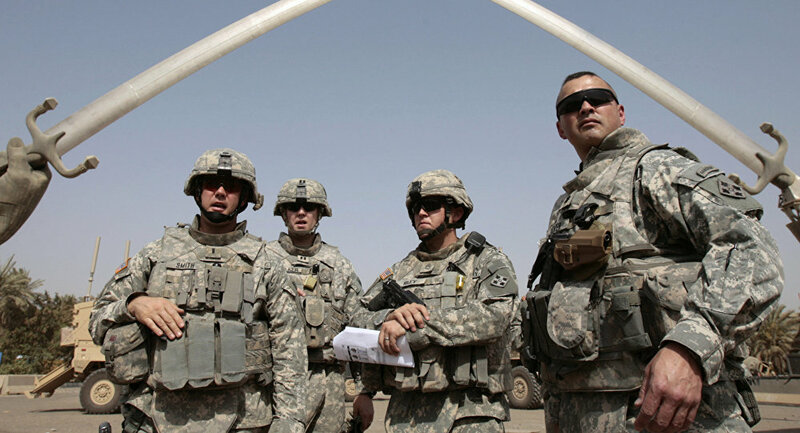 However, the Iraqi Defense Ministry told Sputnik in January that Baghdad did not need foreign troops on its territory and assured that US forces currently deployed in the country are there in an advisory capacity only. The US-led international coalition in Syria conducts strikes against Daesh without the authorization of Damascus or the UN Security Council, while Baghdad has given its consent for operations on Iraqi territory. *Daesh (also known as ISIS/ISIL/IS/Islamic State) is a terrorist group banned in Russia and many other countries.